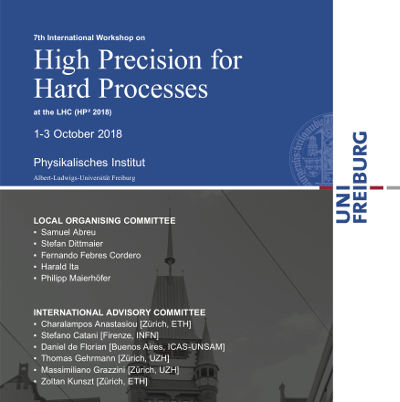 The Seventh International Workshop on High Precision for Hard Processes at the LHC (HP² 2018) will be held from 1-3 October 2018 at the Physics Institute of the University of Freiburg. This series of workshops is devoted to high-precision studies of hard scattering processes at hadron colliders. The main themes of these workshops are recent developments and new results in theoretical computations in quantum field theory and their applications to collider phenomenology. These topics are particularly relevant as the LHC experiments at CERN are now entering a new phase of precision measurements.